Every day we come to hear sounds from various machines, bells, vehicles, bells and radios. A sound is a form of energy which produces a sensation of hearing in our ears and helps us interact with nature and surroundings. Sound energy has a huge utility in our daily to daily life which helps us enjoy our life. And the sensation of hearing can only help us to perceive life. Sound is produced by vibrating objects. The matter or substance through which sound is transmitted is called a medium. It can be solid, liquid or gas. Sound moves through a medium from the point of generation to the listener. When an object vibrates, it sets the particles of the medium around it vibrating. The particles do not travel all the way from the vibrating object to the ear. A particle of the medium in contact with the vibrating object is first displaced from its equilibrium position. It then exerts a force on the adjacent particle. As a result of which the adjacent particle gets displaced from its position of rest. After displacing the adjacent particle, the first particle comes back to its original position. This process continues in the medium till the sound reaches your ear. The disturbance created by a source of sound in the medium travels through the medium and not the particles of the medium. A wave is a disturbance that moves through a medium when the particles of the medium set neighbouring particles into motion. They, in turn, produce a similar motion in others. The particles of the medium do not move forward themselves, but the disturbance is carried forward. This is what happens during propagation of sound in the medium, hence sound can be visualised as a wave. Sound waves are characterised by the motion of particles in the medium and are called mechanical waves. The sound is a mechanical wave and needs a material medium like air, water, steel etc. for its propagation. It cannot travel through the vacuum, which can be demonstrated by the following experiment. Take an electric bell and an airtight glass bell jar. The electric bell is suspended inside the airtight bell jar. The bell jar is connected to a vacuum pump. If you press the switch you will be able to hear the bell. Now start the vacuum pump. When the air in the jar is pumped out gradually, the sound becomes fainter, although the same current is passing through the bell. After some time when less air is left inside the bell jar, you will hear a very feeble sound. The region where coils are called compression and the regions where the coils are further apart are called rarefactions (R). As we already know, sound propagates in the medium as a series of compressions and rarefactions. Now, we can compare the propagation of disturbance in a slinky with the sound propagation in the medium. These waves are called longitudinal waves. 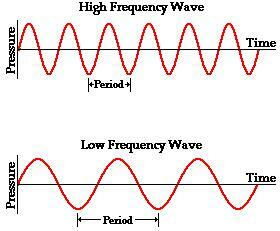 There is also another type of wave, called a transverse wave. In transverse wave particles, do not oscillate along the line of wave propagation but oscillate up and down about their mean position as the wave travels. Thus, a transverse wave is the one in which the individual particles of the medium move about their mean positions in a direction perpendicular to the direction of wave propagation. We know that when sound is propagated through a medium, the density of the medium oscillates between a maximum value and a minimum value. The change in density from the maximum value to the minimum value, again to the maximum value, makes one complete oscillation. The number of such oscillations per unit time is the frequency of the sound wave. If we can count the number of the compressions or rarefactions that cross us per unit time, we will get the frequency of the sound wave. It is usually represented by ν (Greek letter, nu). Its SI unit is Hertz (symbol, Hz). The time taken by two consecutive compressions or rarefactions to cross a fixed point is called the time period of the wave. In other words, we can say that the time taken for one complete oscillation in the density of the medium is called the time period of the sound wave. It is represented by the symbol T. Its SI unit is second (s). Sound bounces off a solid or a liquid like a rubber ball bounce off a wall. Like light, the sound gets reflected at the surface of a solid or liquid and follows the same laws of reflection as you have studied in earlier classes. The directions in which the sound is incident and is reflected make equal angles with the normal to the reflecting surface at the point of incidence, and the three are in the same plane. An obstacle of large size which may be polished or rough is needed for the reflection of sound waves. The sound is produced due to vibration of different objects. Sound travels as a longitudinal wave through a material medium. Sound travels as successive compressions and rarefactions in the medium. In sound propagation, it is the energy of the sound that travels and not the particles of the medium. Sound cannot travel in vacuum. The change in density from one maximum value to the minimum value and again to the maximum value makes one complete oscillation. The distance between two consecutive compressions or two consecutive rarefactions is called the wavelength. The time taken by the wave for one complete oscillation of the density or pressure of the medium is called the time period, T.
The number of complete oscillations per unit time is called the frequency. The speed v, frequency, and wavelength λ, of sound are related by the equation. The speed of sound depends primarily on the nature and the temperature of the transmitting medium. The law of reflection of sound states that the directions in which the sound is incident and reflected make equal angles with the normal to the reflecting surface at the point of incidence and the three lie in the same plane. For hearing a distinct sound, the time interval between the original sound and the reflected one must be at least 0.1 s.
The persistence of sound in an auditorium is the result of repeated reflections of sound and is called reverberation. Sound properties such as pitch, loudness and quality are determined by the corresponding wave properties. Loudness is a physiological response of the ear to the intensity of sound. The amount of sound energy passing each second through unit area is called the intensity of sound. The audible range of hearing for average human beings is in the frequency range of 20 Hz – 20 kHz. What will the vibration of an object produce? Which of the following will produce sound? When a stone is dropped in pond water, it produces many circular wrinkles and water appears to be travelling outwards from centre. What is called as the circular wrinkles? What is another name for the travel of sound? A girl claps and hears the echo after reflection from cliff which is 660 m away. If the velocity of sound is 330 m s-1, Calculate the time taken for hearing the echo. Calculate the wavelength of a tuning fork of frequency 512 Hz which is set to vibrate. Velocity of sound in air is 320 m/s. Calculate the time period of a tuning fork of frequency 512 Hz which is set to vibrate. Velocity of sound in air is 320 m/s. 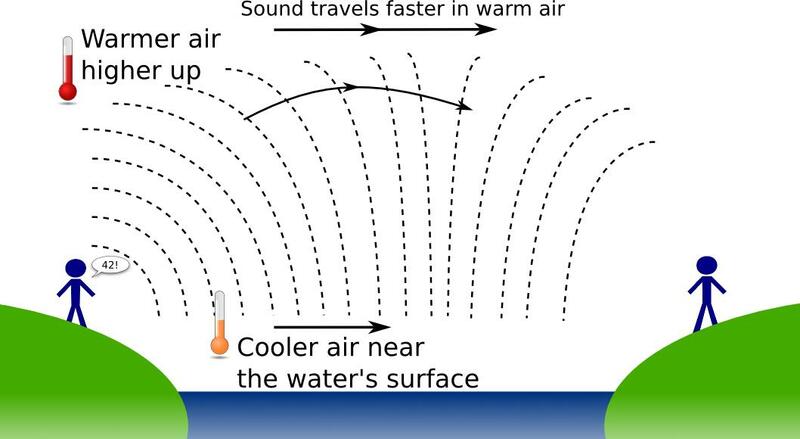 Sound waves travel with a speed of 330 m/s. 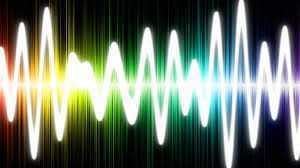 What is the wavelength of sound, whose frequency is 550 Hz? 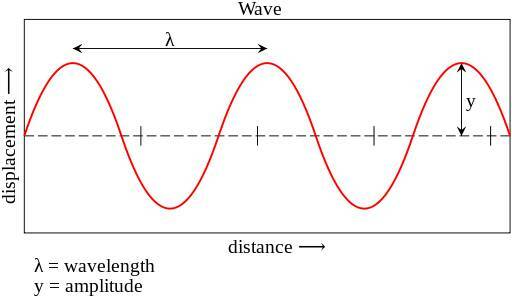 Derive a relation between wave-velocity, frequency and wavelength.